If you’ve ever searched online “where to buy essential oils” no doubt you’ve found a ton of different options. And you’ve probably also felt completely overwhelmed. From blog posts to big essential oil companies everyone seems to have an opinion on where to buy essential oils. And since the essential oil market is unregulated the phrase, “best essential oil company” is….well, very subjective. So, if you’ve come to this article thinking, “I just want to know what the best essential oil company is” you’ll have an answer by the end of this series. But it’s not what you think. There are multiple answers to this question depending on what your needs are. So rather than just telling you (blank) is the best essential oil company (because I know what the best essential oil company is for me and my family and that may not apply to you) – I’m going to help you discover where to buy essential oils that best suits what you specifically need and desire. Sound good? Great! Then, let’s dive in and really get a straight answer to the question of where to buy essential oils. All of this attention on essential oils has many companies strategizing on how to get a piece of the pie. But not all companies are reputable essential oil companies. Before we delve into the best essential oil brands we’ll first address the question of where to buy essential oils – physically, that is. There are two main places to go if you want to know where to buy essential oils: online or locally. And there are pros and cons to each one. If you’re the type of person where you want to be able to walk into a store and speak to an actual person before making a purchase this may be a great option for you. And there are definitely some pros to buying essential oils locally. We’ll discuss each one (and the disadvantages) here. Probably the biggest pro is that you can actually smell the oils before purchasing…usually. Most stores will at least have testers set out that you can open and smell. If they don’t I’ve never been shy about asking management to open a bottle to let me experience the product. Smelling the oils before purchasing lets you get a feel for the aroma. This is a big plus if you’re new to essential oils and don’t even know what an oil like Vetiver smells like or if you’ll even like the aroma. You may also like that you’re supporting your local businesses when you buy essential oils in your own town. There’s a caveat to this though. Most of the stores that stock essential oils are big box stores, so unless you’re buying from a mom and pop shop it’s more like supporting a large corporation. The other good thing about buying locally is that you can ask questions about the essential oils. You can ask about how to use essential oils and even about the purity of the product as well. Again, if you’re shopping at big box stores sometimes it’s hard to get help and with some exceptions, the sales associates won’t know much about the specifics of using essential oils. You’ll have better results going to a mom and pop shop with this one. It may be easier to return products to a local store. Not happy with the essential oil you purchased? Just take it back to the store. Most local businesses are flexible with returns because they want to keep their customers happy and shopping locally instead of online. We’ll discuss more about what this term means: “therapeutic grade”. And there are no hard and fast definitions. Here’s how I view it: Therapeutic Grade Essential Oils is a term used to describe the quality of essential oils that you need when you’re looking to get a specific, physiological or emotional result. I would use therapeutic grade essential oils if I wanted to boost my energy, get better sleep or help ease discomfort associated with a chronic condition. I wouldn’t worry so much about using therapeutic grade essential oils if I’m using them to make my laundry smell nice. It’s just not as important. The point is that therapeutic grade essential oils are harder to find in big box stores . And that’s where most of the selection is if you want to buy locally. When you have to drive to restock your essential oils, it can pose an inconvenience. If you live in a high traffic city like Atlanta, New York or Los Angeles, the thought of having to drive to re-up your supply may be very unappealing. If you’re in a smaller town it may not be a big deal. This one all depends on where you live, how close your local store is and whether or not you want to make the drive. If you’ve made it to this website you’ve probably already done at least one search along the lines of “where can I buy essential oils?” And you’ve noticed that there are dozens and dozens of online options. Just like with buying locally, there are pros and cons to buying online as well. We’ll review the details here. You won’t run out of options if you’re looking to order your essential oils online. There are so many companies that it can be hard to distinguish the differences (a huge reason why we wrote this article). 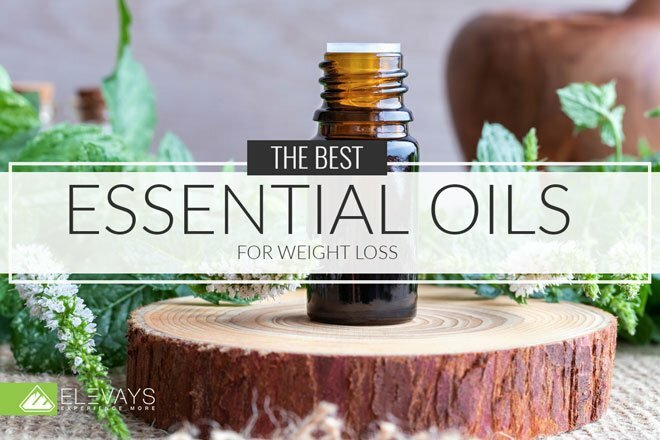 But if your question is, “What are the best essential oil companies for me?” then I’m confident enough to say that you will 100% find one (or more!) online. There are just so many essential oils brands to choose from. Once you whittle it down to a couple of essential oil companies it’s super easy to compare them. With just the click of a button you can view the website, and review pricing, quality information and even the selection of oils available. Unless you have tons of time and tons of money to spend on gas this is much harder to do if you’re shopping locally. Typically, the companies that specialize in essential oils are found online. Depending on what you’re using your essential oils for you may not have a problem picking up a bottle of lavender right next to a pack of chewing gum in the checkout aisle. But, if you’re looking for therapeutic benefits or specific physical or emotional results…well, the oils in the big box stores are typically not the best choice for that. The convenience of online ordering is very appealing for busy folks that don’t always have time to venture out to the store. I can’t tell you how many weeks (sometimes months) errands have gone “un-run” because I did not create the time to do them. It’s just the reality for me with 3 little ones. That’s why I order online because it’s what works best for me and my family. If you’re looking to buy pure essential oils it’s utterly confusing trying to decipher all the lingo in the online space. Everyone is claiming to have “pure oils” and that they are “the best essential oil company.” What does “pure oils” even mean? How can you even be sure of what the best essential oil companies are? This is tough to uncover (without bias) online. But that’s the goal of this blog series – to make the muddy waters clear so that you can get on with using (and loving!) essential oils. One of the greatest benefits of buying essential oils locally is that you can smell the aroma before you purchase. You can’t really do that online. More sites are offering essential oil samples, but many (if not most) companies do not do this. So…you kind of order on a whim and prayer that it will work out. If it’s an oil like lavender it’s not all that risky, but if it’s an oil where you have no reference for the aroma – like smelling Cypress for the first time after you buy the bottle – well, you may run the risk of disappointment. Nobody wants to be scammed, but you run more risk of this happening online. After all, you’re giving the payment before you receive the product. There’s always a risk with that (even if it’s a small one). 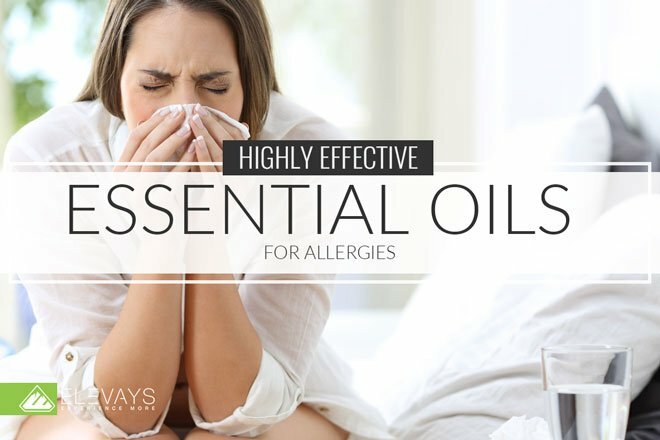 Thankfully, there are many reputable essential oil companies online. And I’ll also share some red flags to watch out for when you’re ordering so that you don’t fall prey to an essential oils scam. This is the question that we’re going to explore more in this section. It’s really not a cut and dry answer. As we’ll discover in this series there’s lots of essential oils brands and there are multiple reputable essential oils companies…and some that I wouldn’t buy from. To get the best answer to this question for you and your lifestyle you’ll want to consider how you’re going to use the essential oils. This is the biggest question that you need to answer because it ultimately will determine where to buy essential oils that are best for you…and it will also weed out all the other “noise” in the market because you can focus on what you specifically need. To delve into this deeper we’ll review the different grades of essential oils so you have a good understanding of what your options are. And to be fair, there is no regulating body that “grades” essential oils. These are typically phrases that companies will use to market their products. But we will explore each “type” of essential oil to create more clarity. These are essential oils that you’re purely going to use for the smell. Whether you want to make your sheets smell like lavender fields or just walk into the home to a pleasant, uplifting aroma at the end of the day “smell good essential oils” are designed to do just that: smell good – and not much else. Smell good oils don’t have to be as high quality so often they are cheap essential oils. Cheap essential oils make up the majority of the market (quote research from slide show). Often times these oils are synthetic (they don’t come from plants, but chemicals). With cheap essential oils you always have to be on the lookout for adulteration that is toxic to your health. For instance, the addition of fragrance (a hormone disruptor) to essential oil is a common practice that is typically much more prevalent with premium oils like Frankincense. You may be able to avoid this type of adulteration with some of the tips that I’ll share later in this series. The Bottom Line: Smell good oils can be cheap essential oils (which is nice for your wallet) but you just shouldn’t expect them to deliver a therapeutic result. Typically people ask about food grade essential oils when they want to know which ones are ingestible essential oils. I’ll say that ingesting essential oils is a very controversial topic. You’ll find people that support it (a little too enthusiastically) and people that are vehemently opposed. What Robert Tisserand has to say on the topic is actually useful. He’s been studying essential oils for many decades and has even won a lifetime achievement award for his work in essential oils. He’s a well-respected essential oil authority. This is all about being cautious, having common sense and avoiding foolish decisions like taking copious amounts of Oregano (or any essential oil) internally on a regular basis “just cause” or as a preventative approach. 2- What Does the Manufacturer Say? What’s on the essential oil bottle? If we’re talking about food grade essential oils or those that are ingestible essential oils then usually the manufacturer will specify on the bottle. If there’s no specification on this on the bottle, then I’d assume the manufacturer doesn’t support ingesting their brand of essential oils and I wouldn’t do it. Ah, therapeutic grade – this is another term that is widely used in the essential oils market. And again, there is not a regulating body for the use of the words “therapeutic grade.” So, if you want a hard and fast definition on what that term means, well there isn’t one. Typically companies use the term “therapeutic grade essential oils” when they want to convince you, the buyer, that the oils are pure and of high quality. Whether or not that claim can be substantiated comes down to more than just marketing phrases, though. It has to do with the companies’ practices. Are the essential oils they produce adulterated? What kind of testing do they do to ensure purity of the oils? These are just a few things that I think about when I hear the term therapeutic grade. Therapeutic Grade Essential Oils is a term used to describe the quality of essential oils that you need when you’re looking to get a specific, physiological or emotional result. Quality and purity is important here, because these things can affect results. We’ll explore that concept more in relation to essential oil use, but hopefully that creates some clarity on the topic for now. There’s oils that are marketed as organic essential oils and then there are oils that have the USDA seal. If we’re going to keep it real as we have been, the only essential oils that “count” as being truly organic are the ones that are certified organic essential oils by the USDA. This is the regulating body over that certification and unless the bottle has that seal, you can’t be sure that it’s really a certified organic essential oil. “USDA certified organic foods are grown and processed according to federal guidelines addressing, among many factors, soil quality, animal raising practices, pest and weed control, and use of additives. Organic producers rely on natural substances and physical, mechanical, or biologically based farming methods to the fullest extent possible (emphasis added). Essentially, organic essential oils have been harvested from plants that have not been sprayed with chemical biocides (pesticides and herbicides). It’s easy to understand the surface value of an organic essential oil. The Herbal Academy states that pesticides and “pollutants on the plants can be more concentrated in the essential oil.” Many people avoid conventional produce (we do) and shop organic whenever possible. It seems sensical to do the same with essential oils. But there are other considerations to keep in mind. When it comes to essential oils there’s value in running scientific tests. Testing can tell more about the chemical constituents of an essential oil and detect other contaminants. Robert Tisserand, in his book Essential Oil Safety, states that gas chromatography (GC), a type of essential oil test is useful for uncovering chemical constituents of oils and identifying compounds (such as contaminants) that should not be there. The USDA doesn’t run GC testing or other essential oil analytics. So, while there is value in certified organic essential oils, if it’s not paired with quality testing the oils may not be as “pure” as the company is claiming. 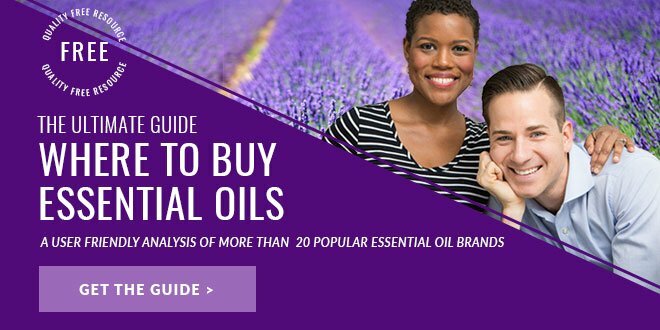 Hopefully, this has been helpful and created some clarity on the question of where to buy essential oils. And you can probably see why there really isn’t a cookie cutter answer that fits everyone. This is all about YOU and what you need and desire. I’d love to hear from you. Let me know if you have any questions pertaining to this article and/or what your experience has been with shopping for essential oils both online and locally. Tisserand, R. Essential Oil Safety, 2nd Edition.